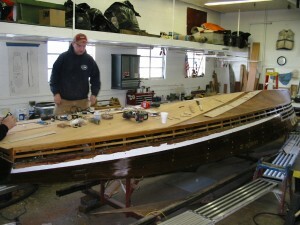 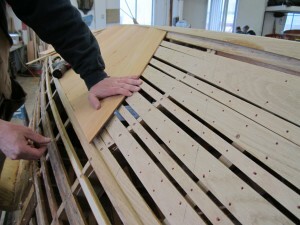 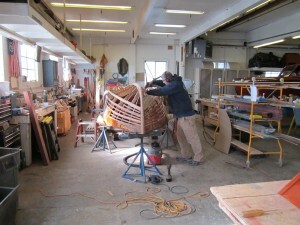 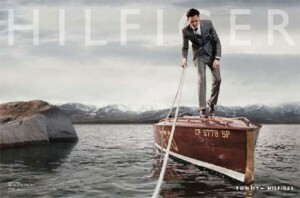 With Spring officially here (at least in theory), it’s time to begin fantasizing about wooden boating. 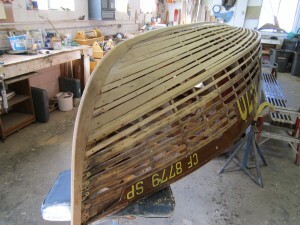 We hope that the photos of Rainbow III’s restoration will add to your determination to get on with your own restorative work, or at least go wooden boating! 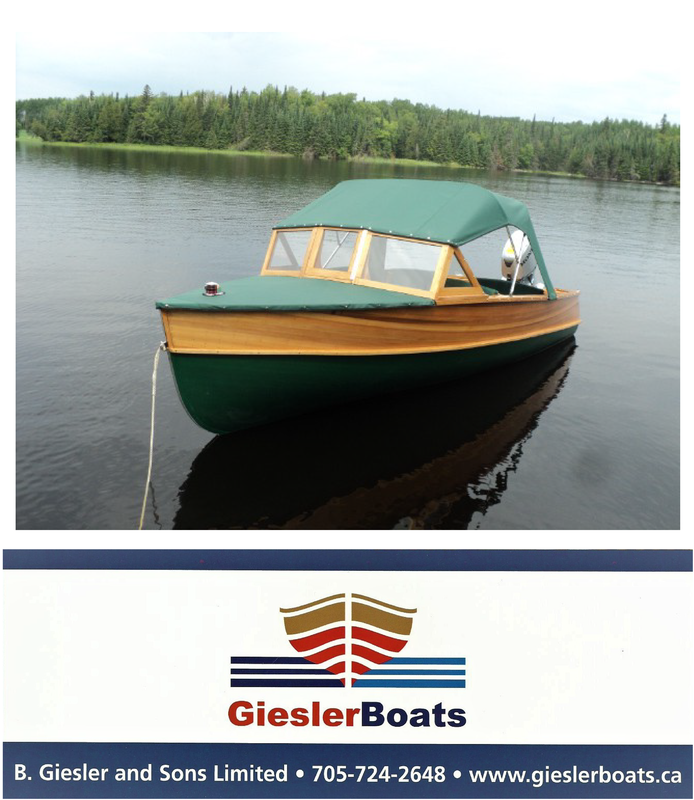 One of the iconic race boats from the Muskoka Region is Rainbow III is a 25 ft gold cup racer with an external rudder which now resides on Carnelian Bay, CA, United States. 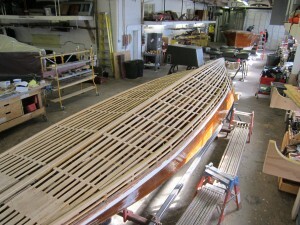 Designed by Harry Greening she set a world distance record of 1060 miles in 24 hours on Lake Muskoka. 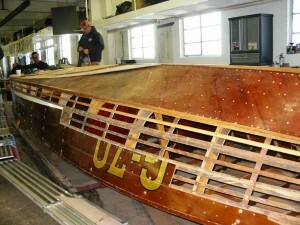 Her hull design has been replicated on numerous boats both old and even today her lines appear on many interpretations of the Gold Cup race boat.